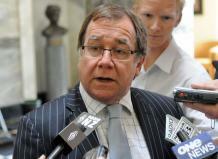 Foreign Minister Murray McCully said India was on track to become one of New Zealand's most significant partners and a trade agreement currently under negotiation would enhance that. Two-way trade with India passed the $1 billion mark last year, with exports growing to $709 million, making it New Zealand's 11th largest market, while Indian tourists and students were also increasingly coming here. Ms Henderson, who has as served as ambassador to Turkey, Israel and Jordan and is currently director of the environment division at the Foreign Affairs and Trade Ministry, will also be cross-accredited to Sri Lanka, Bangladesh, and Nepal. She begins her new role in December, replacing Rupert Holborrow.